SkyHive is looking for an enthusiastic Business Analyst (BA) to own the Discovery phase of engaging with Enterprise clients. The BA will solicit, understand, assess, and document the business requirements, processes and reporting needs. They will be required to partner effectively and professionally with all levels of an organization, and proactively identify opportunities, scope problems and co-create potential solutions with the customer. It is also crucial that the BA be skilled at connecting with various personalities, managing expectations (especially from detractors), and adapting stakeholders’ preferred project management methods to SkyHive’s agile philosophy and working style. Compensation: Varied based on experience. - Three weeks’ paid vacation to start, paid holidays and birthday leave! 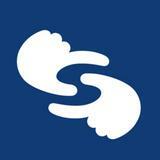 - Charitable donation-matching program to support your favorite charity. - Opportunity to explore other departments as training and career continues.